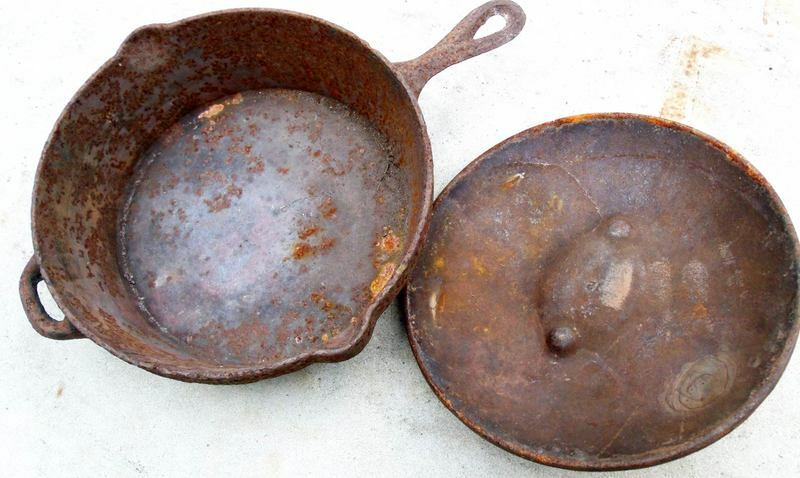 Recently, Chef Jeffrey Gardner and Southern Kitchen's Associate Editor Mike Jordan chatted about all the myths surrounding the care of cast iron cookware. In this story, we’ll burn those false beliefs and get down to the tasty patina of truth. Chef Jeffrey Gardner and I are always having random conversations about Southern food and everything associated (or not) with it. He’s an easy guy to talk to, and not just because our desks here in the Atlanta office are close to each other. Plus he’s from Mississippi and I’m from Alabama, which, in the grand culinary geography of things, makes us longtime neighbors even if our office arrangement didn’t. Recently we chatted about how there are a lot of myths out there around cast iron cookware, particularly when it comes to how to cook with it and how to care for it. If you've been reading Southern Kitchen, you know that we love our cast iron, whether it's made by premium brands like FINEX or Smithey, or in Small Town USA where there's an annual festival dedicated to what cast iron has done for the community, the local economy and cornbread. We like to share cast iron recipes ranging from meats to desserts, and we look at the differences between budget-friendly cast iron and its higher-end extended family. In this story, we’ll tackle the myths about what you can and can't do to care for your prized cast iron by tackling the top three myths that are actually not true. 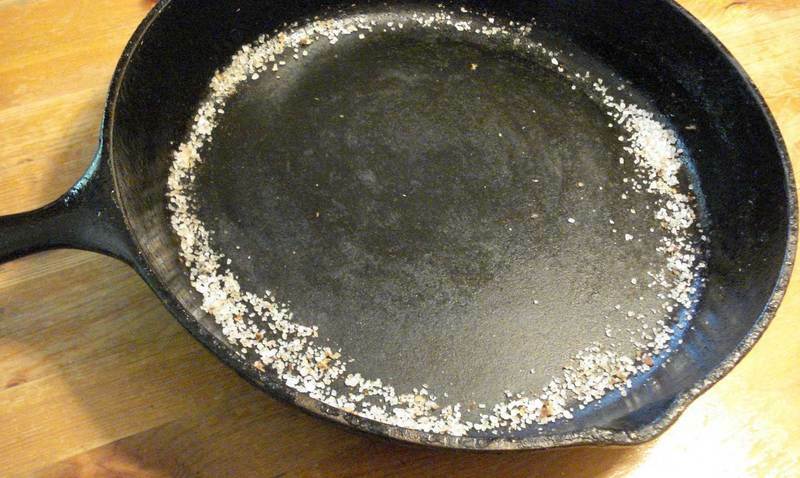 So in case you’ve ever wondered if you’re taking proper care of your cookware, here’s what came out of our cast iron conversation. Soap is fine, and in some cases you’re much better off using it than not. Chef Jeffrey says it’s fine not to use it if the last thing you made was cornbread, but consider some suds if you recently seared a steak. “You don’t want your next apple pie to taste like meat,” he said. Chef Jeffrey says seasoning is very simple: You should use polyunsaturated fats like vegetable oil, canola oil and shortening. Avoid nut and olive oil, along with anything that carries flavor, such as lard or bacon grease. This is one area to which I can personally speak and Chef Jeffrey cannot, which would almost make little ol' me an authority, until you remember that it really just means I’ve damaged my cast iron cookware and he hasn’t. Hmmph. Anyway, it’s totally possible to bring your skillet back from the realm of death metal. If yours is rusty, all it takes is a steel wool pad and some elbow grease to scrub it away. You’ll really want to get busy here — it’s too late to worry about messing up the surface, after all. You can also let the pan soak in a 50-50 mixture of distilled white vinegar and water for a few hours (don’t go past 6 hours or the cast iron could deteriorate and/or develop pitting). If your oven has a self-cleaning setting, you can also use that and make things really easy. Here’s a guide on how that works. 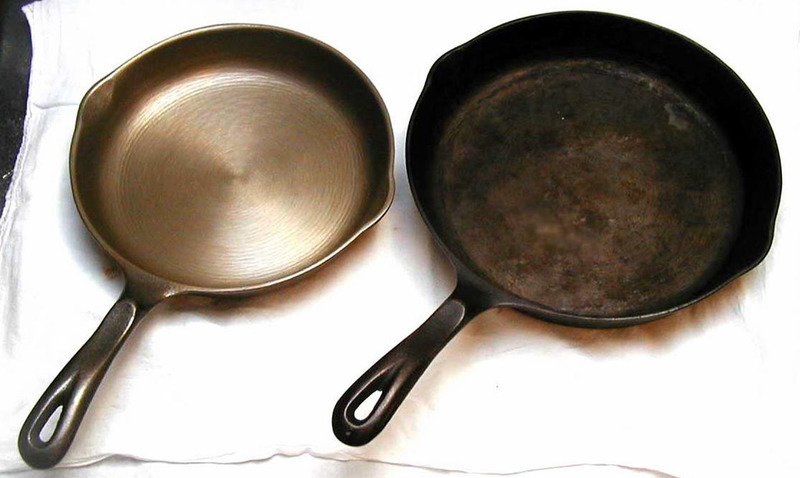 Yes, your cookware will look ashy (because it literally will be — the oven heat turns the rust into ash), but that should go away once you give it a proper wash.
Now you’ve gotta re-season your cookware. Just rub it down with shortening, stick it in a pre-heated oven, face-down (make sure you leave foil or a baking sheet underneath to catch the dripping oil before it hits the bottom of the oven), for an hour or so. It’ll take a few more seasonings before it’s really back to its old performance, but it’s totally possible to get there. Still have questions about caring for cast iron cookware that we didn't cover here, or is there anything you'd like to ask about cooking in it? Let us know on our Facebook page and we may address them in our next story. Keep cooking!